Should President Trump Fire Special Counsel Robert Mueller? 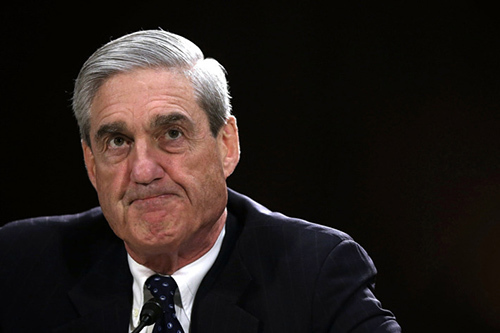 Despite intense scrutiny of the Trump campaign, its finances and communications, Special Counsel Robert S. Mueller III and his team have yet to demonstrate conclusive evidence of collusion with the Russians. Now, there’s a bipartisan push in the Senate to protect the Special Counsel from being fired, even though it is not clear whether President Trump actually has that authority. To remove the Special Counsel, Trump may have to fire Acting AG Rod Rosenstein and even AG Jeff Sessions first. But some could construe this as obstruction of justice. Personal Liberty Digest® is conducting an urgent poll to find out whether you think President Trump should fire Bob Mueller, Rod Rosenstein and/or Jeff Sessions. And whether you think the Russia investigation will lead to impeachment of the President. Please let us know! We’ll share the (anonymous) results with you so you can see what others think… please choose your responses below and check your email for the results. 1) Should President Trump fire Special Prosecutor Robert Mueller? 2) Do you believe that President Trump has the authority to fire Robert Mueller? 3) Should Trump fire Attorney General Jeff Sessions? 4) Should Trump fire Deputy Attorney General Rod Rosenstein? 5) Do you believe that Congress should pass a bill to protect Special Prosecutors (including Bob Mueller) from being fired? 6) Would you consider the firing of Special Counsel Robert Mueller obstruction of justice? 7) Do you believe the Russia investigation will lead to Trump’s impeachment? After submitting, please check your email for the results of the poll. As our way of thanking you for your participation, we will immediately direct you to an urgent report, plus you’ll receive a complimentary subscription of Personal Liberty Digest® delivered directly to your inbox.